Volcanoes national park like any other park is surrounded by local communities who often conflict with the park authorities over conflicting interests of land utilization versus conservation as well as conflicts resulting from animal raids on people’s crop gardens. 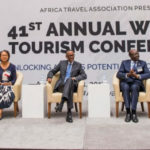 In a bid to revert these conflicts, the park management devised means to help the communities in starting up self-help projects to tap the tourism potentials and realize benefits from tourism in order to boost their conservation efforts. 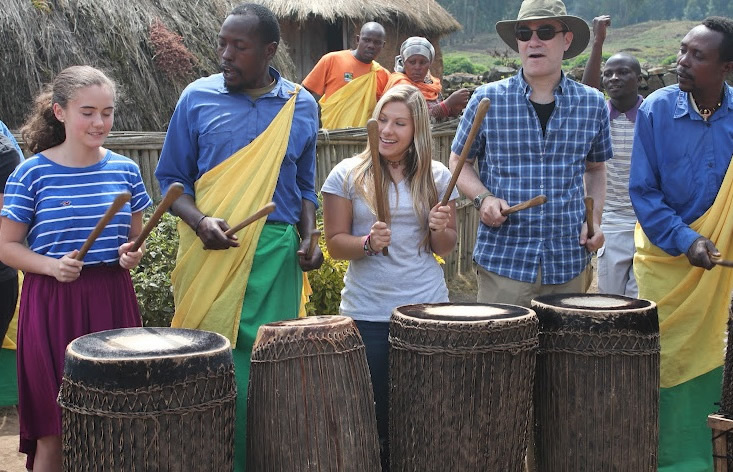 The most prominent community-based tourism project is the Iby’Iwacu cultural village which chose to exhibit Rwanda’s unique historical culture. 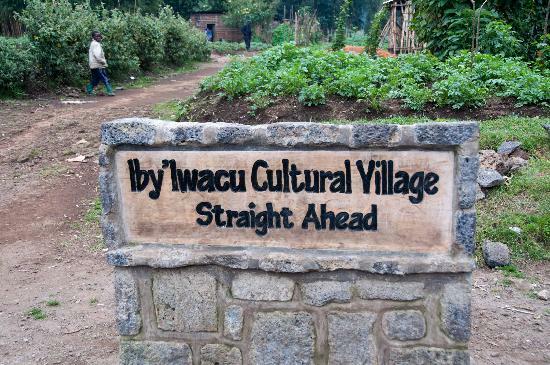 The word Iby’Iwacu means ‘treasure of our home’ or ‘our heritage’ hence the village intends to exhibit the treasure of the country especially in terms of culture. 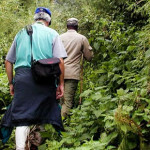 The village is located about 20 minutes drive from Musanze district, in Kinigi area, Nyabigoma cell around Parc National des Volcans. The village exhibits different cultural aspects of Rwandans emanating from 3 major ethnic groups of Twa (Batwa), Hutu and Tutsi. Traditional art facts are made and put on the market, traditional dance and drama performances are exhibited as well as the cultural norms and values of this unique country. 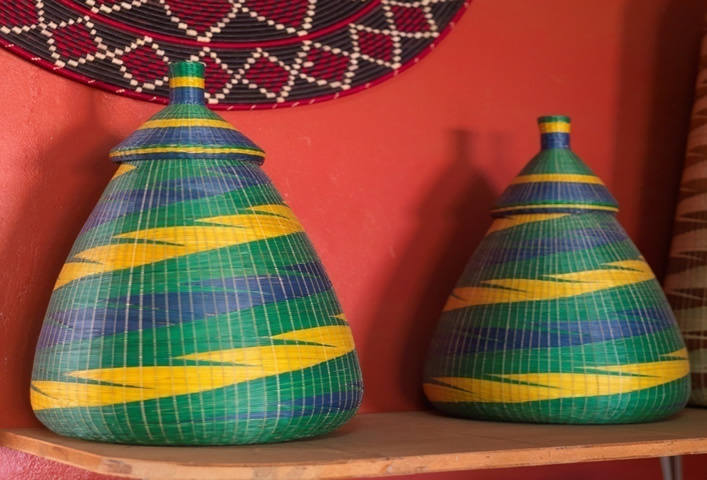 A visit to this village will leave you with a deep insight of how a traditional Rwandan lives; right from the dress code, to traditional dishes and the daily life activities. Do not hesitate to participate in the beer brewing experience, preparation of a traditional dish with the local women and try out the King’s house which is a replica of the ancient king’s residence and be graced by the coronation ceremony as the elders crown you a king for a moment. 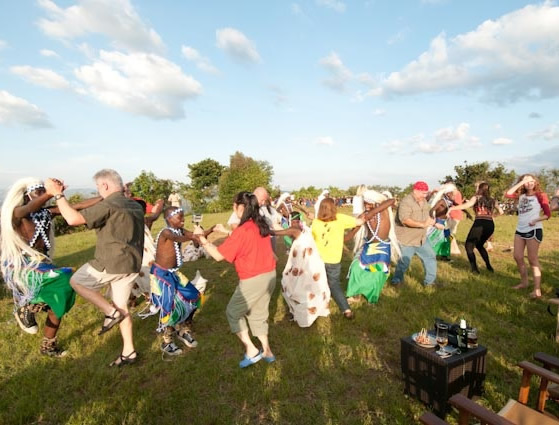 You will also get a chance to grind millet and sorghum on the traditional grinding stones, shoot arrows with the Batwa, ride a wooden bicycle around the village and sit down to watch and enjoy the Intore dance performance. The village offers a full breathtaking action-packed cultural experience. Away from the Iby’Iwacu village, several community projects like water and agricultural projects have been supported by the park authorities as a way to help improve the community livelihood around Volcanoes. The park gives to the communities around 60% of the revenue collections from tourism in the park to support their income generating projects. Clean water has also been extended to these communities as well as some schools being renovated. 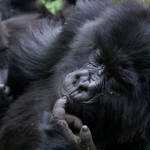 For example, during the 2011 celebrations of Kwita Izina ceremony, Rwanda Development Board (RDB) launched 52 small household-based water collective tanks and 4 large public water collective tanks that were constructed at a cost of 62 million Rwandan francs; raised from the past Gorilla conservation efforts. The agricultural projects have also been supported by giving the communities crops that are not likable for wild animals like tea which in turn improve people’s incomes after the sale. There are other sustainable community projects supported by some conservation bodies aiming at improving the livelihood of the communities around Volcanoes National park. 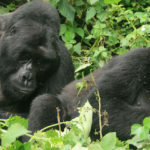 The Sustainable Agricultural Training Project championed by the Gorilla Organization kicked off in 2001 with an aim of improving agricultural practices of communities living adjacent to Volcanoes national park to reduce poverty and human pressure on the park. 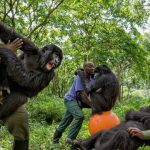 The Gorilla Organization started by giving free agricultural training to 110 Key farmer trainers who successfully completed the training. These key farmer trainers later trained 20 farmers each who in turn trained five each hence improving agricultural techniques and practices used by the local communities around the park. The project has registered success and continues to offer training in newly improved techniques which have led to the general improvement of the communities around volcanoes. In addition, this project helped the communities in providing fuel-efficient stoves hence reducing the community’s dependence on charcoal and firewood by 70%. The project has, in addition, introduced tree planting where over 100,000 trees have been planted hence reducing the pressure on the park resources. The Key Farmer Trainers (KFTs) continue to supervise and oversee the project. 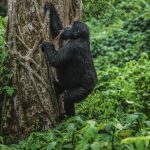 The Gorilla Organization also runs a project called Supporting Indigenous Rwanda Communities which kick-started in 2001 with an aim of improving the lives of Batwa people who lost their land as a result of eviction from the park’s forest. 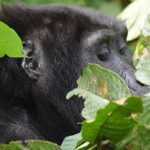 Together with African Indigenous and Minority Peoples Organization, the Gorilla Organization has secured land for agriculture for the Batwa and equipped them with better agricultural techniques to help them cope up with the needs of life. The project has improved housing for Batwa as well as securing for them over 30 hectares of land for agriculture. 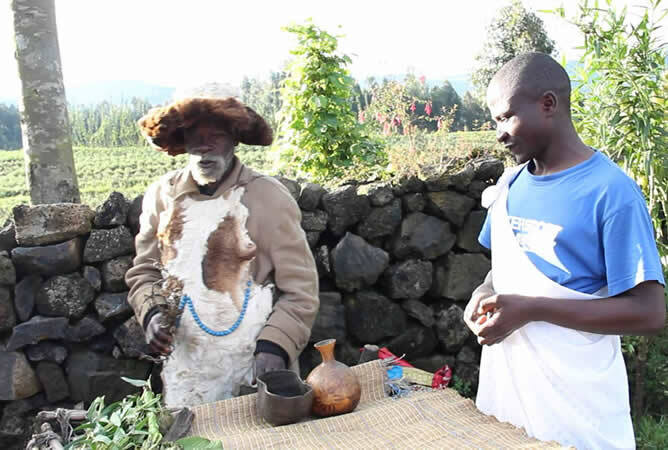 Trainings have been conducted to help the Batwa learn the best agriculture practices have changed their way of life from a hunter-gatherer society to an agricultural society. 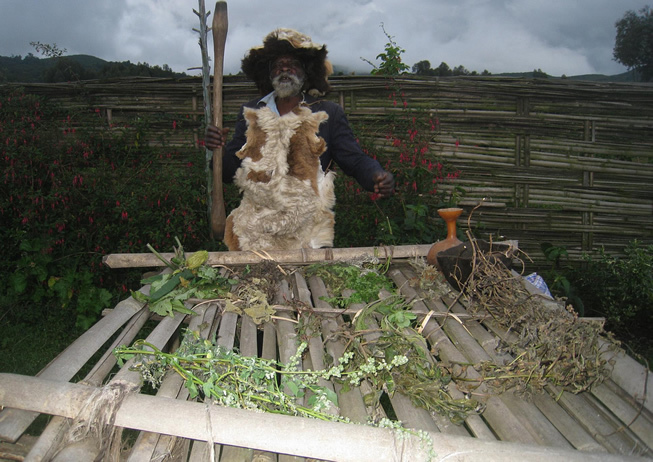 The Ethnobotany tour offers an opportunity to explore the plants and herbs that are used to cure many diseases. 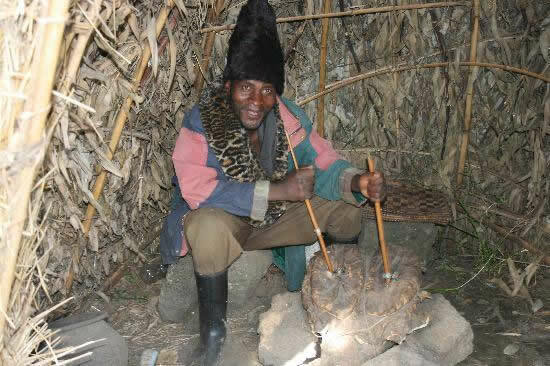 The traditional healer will explain to you different herbs and the diseases they cure as you get a chance to visit his patients at the local pharmacy. This has also provided a livelihood to those working there as they continue to tap into the tourism market. You can as well take time to explore the clay fields where local men spend their days making bricks as you learn the art which they use in making these bricks. The bricks are then wrapped in banana leaves and left for 2 days to dry before placed in a wooden frame. 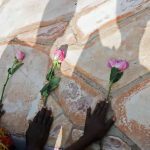 You can get your hands dirty in trying to support this community by participating in brick making or building a community house. 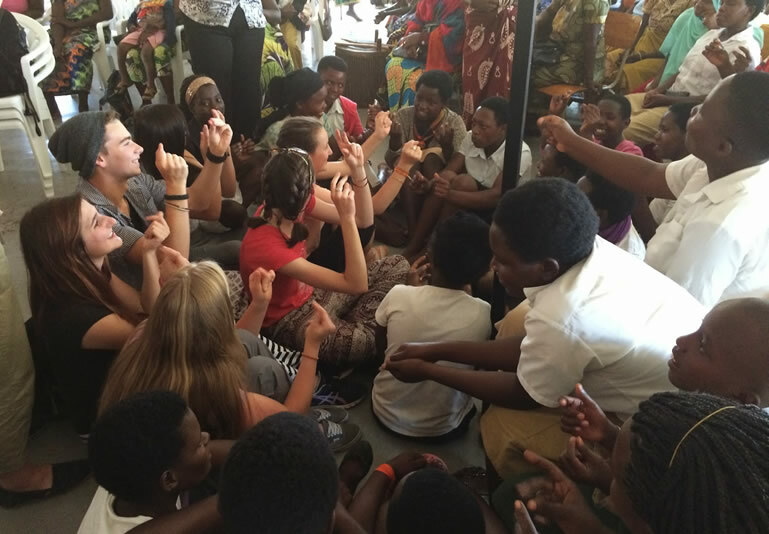 The bustling town of Musanze straddled near the park offers a lot in terms of community businesses. You can spend a coin in supporting the community by buying a craft from its craft markets or spend on a meal in any of the restaurants around. 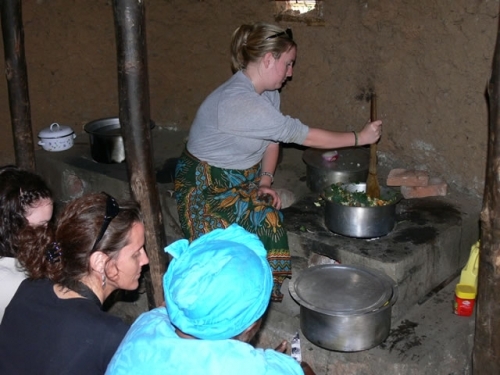 You can as well visit the community as reach out to local women and join them in preparing their traditional dishes including packaging food in banana leaves and spicing up different foodstuffs to come up with a very delicious local cuisine.